…which means we’re dreaming of cozy dinners with friends and family, oven roasted turkey, delicious cranberry sauce, a classic pumpkin pie, and the inevitable food coma that follows immediately after! 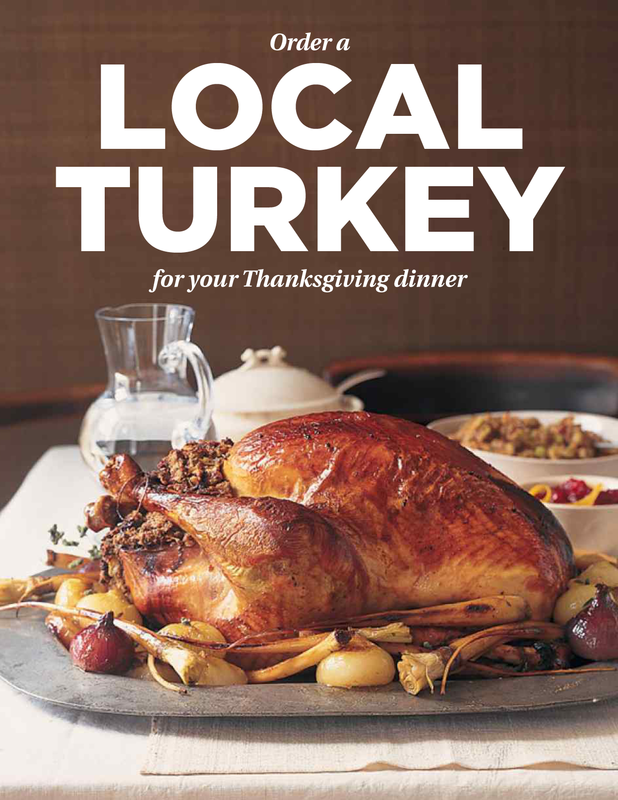 We want to make it simple for you to get your hands on some amazing turkey this Thanksgiving. We are working with Beliak Heritage Farms in St. Ann’s, Ontario to bring in free-running, naturally raised turkey. These turkeys are raised with humane, old-fashioned farming practices. They are given no growth hormones or antibiotics, and are vegetarian fed with grains, wheat shorts, and crushed soy grain. We will be selling turkeys in five size categories, and all are priced at $3.99/lb. We’ll only be accepting orders until Saturday, September 26th at noon, so be sure to get your turkey request submitted soon! If you’d like to order, please head to this page pay your $20 deposit and select your desired size to secure your turkey. If you’d prefer to do this in-store, drop by any time between now and the deadline to place your order and pay your deposit. Let’s make Thanksgiving more wholesome and delicious this year with quality, ethically-raised turkey!